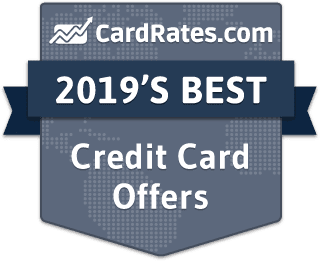 Below are our staff picks for 2019's best business credit cards. These cards are ideal for those seeking a business-sized credit line to go with top-notch perks and rewards. Our reviews follow strict editorial guidelines and are updated regularly. Whether you're a small business owner looking to finance a big venture, or a corporate purchaser seeking to earn cash back on your company's expenditures, the credit card offers below are an excellent choice for any business. Compare top-reviewed cards by feature and rate using the simple summary table. Growing up, my parents both owned and operated their own businesses, giving me an up-close and personal look at the ups — and downs — that come with being a small business owner. I learned a lot of important lessons about how businesses should be run, such as hiring and managing a staff, dealing with vendors and suppliers, and how to effectively communicate with customers and clients. Perhaps the most vital lesson I learned watching my parents’ businesses grow is that being a business owner takes work. Building a successful company requires a tremendous investment of time and energy — not to mention some serious cash. For the typical small business owner, cash flow can be a fickle mistress, often ebbing and flowing like the tide. This means many businesses must rely on credit to meet their constantly evolving financial needs. While financing at the corporate level often involves six-figure credit lines and loans, the average small business owner isn’t going to qualify for that kind of credit — nor do they need it. For a small business, a quality small business credit card can provide the financing necessary to take care of the day-to-day business expenses that can’t wait for pending purchases or outstanding invoices. 1. How do I compare the best credit card offers and deals? When it comes to choosing between the best business cards, you’ll need to consider a few points, including the small business card’s APR, whether it charges an annual fee, and (most importantly for some) what kind of rewards it offers. In the modern credit card world, the vast majority of credit cards — both consumer cards and small business credit cards — provide some kind of purchase rewards. A good rewards credit card can be extremely lucrative if you select one that lets you earn rewards on the purchases you make most frequently. To get the most out of your card, comparing rewards cards will involve looking at where you tend to spend most of your cash. You’ll also need to consider how you’re most likely to use your rewards, namely if you want cash back, travel rewards, or flexible points. Cash back rewards are the most straightforward and can be easily redeemed for a statement credit or check, but points and miles typically provide more redemption options. Businesses that require a lot of travel can often get a lot of value out of travel rewards credit cards, especially those that offer bonus rewards for travel-related purchases like plane tickets and rental car purchases. Many business travel rewards cards will also come with extraneous perks like elite hotel status, trip insurance, and lost or delayed baggage reimbursement. With most rewards programs, cardholders earn unlimited rewards at a low flat rate, while some programs will also provide bonus rewards for purchases made in specific categories, like gas or office supplies. If many of your business expenses fall into these popular categories, a program that provides bonus rewards can provide significant value. For the rare small business owner who doesn’t care about credit card rewards, a card that provides an introductory APR deal can be a good investment. Typically offering 12 months or more of 0% APR on new purchases, intro APR cards can provide significant savings for business owners who need to carry a balance from month to month. Find one without an annual fee to stack the savings. 2. What’s more important in a comparison: low rates or good reviews? In the internet era, the power of the review has reached a monumental scale. With a few clicks and some choice words, a single consumer now has the ability to boost — or bury — a particular product, seemingly overnight. But when it comes to small business credit cards, should you let a poor review sway you from what could potentially be a great deal? For many business owners, it likely comes down to how good of a deal is at stake. A lot of credit cards these days come with really tempting introductory 0% APR offers that can save a lot of money for business owners who tend to a carry a balance. If you’re contemplating a card with a solid intro APR offer, you might think it’s worth defying a few reviewers to avoid spending hundreds of your hard-earned dollars on interest fees. On the other hand, if the card has a significant number of negative reviews, you may want to think about why so many other business owners dislike the card. If every reviewer has had issues with the credit card company’s customer service, for example, take that into consideration. That intro APR deal might seem like less of a deal after two hours on the phone with your credit card issuer to remove an erroneous fee. Overall, a good rule of thumb is to take all reviews — positive and negative — with a grain of proverbial salt. Even the most popular gold and platinum cards will probably have a few negative reviews, and cards that are otherwise reported to be terrible may have a fan or two. Balance a good deal with a good reputation when weighing your options. 3. What is the best business credit card? Although life (and business) would certainly be simpler were there a single “best” product for everyone, in most cases, it’s more about finding the best one for you — and that includes your small business credit card. That being said, the cards that typically earn the distinction as being one of the best business credit cards share a few commonalities. Firstly, most great business cards will offer some type of purchase rewards, be it cash back, travel rewards, or points. The type of reward that’s best for you will be the type you’re most likely to use. For example, if your annual traveling is limited to a single round-trip flight to visit your relatives, a travel card may not be worthwhile. If you’re a frequent flyer, however, travel rewards can be lucrative. In addition to rewards, you’ll want to look at the APR charged by your card. If you tend to carry a balance from month to month, the best card for you will be one with a low ongoing APR or an intro APR deal that provides 0% APR for a set period of time. You may also find cards that offer intro APR deals on balance transfers, although balance transfer deals aren’t as prevalent in business cards as they are in the consumer market. Another popular differentiator for many cardholders is the card’s sign-up bonus. A good sign-up bonus can work out to hundreds of dollars in cash back, points, or frequent flyer miles. Most sign-up bonuses have a minimum spending requirement to earn the bonus, with the size of the spending requirement varying with the size of the bonus. The fringe benefits available to cardholders may also factor into your decision. This can be anything from whether the card charges foreign transaction fees to the verification structure (most US cards use chip-and-signature technology, while many European countries believe a secure credit card is one that requires a PIN). 4. How can I apply for a business credit card? For the most part, applying for a business credit card is the same as applying for a consumer credit card. You simply select your card, click the “apply” button, and start filling out the application. You’ll likely see the expected queries, such as your business’s name and address, as well as questions asking for financial information, including your company’s income. The main variation from a consumer credit card application will likely be that you will need your business’s Employer Identification Number (EIN), which can be obtained through the IRS. In some cases, you may be operating your business using your personal credit, in which case you will use your Social Security number, instead. 5. What is the best credit card for a small business? While it’s not the answer many business owners want, the fact of the matter is that there is no “best” card. The best credit card for your business will vary based on your specific needs and spending habits. This includes everything from the card’s APR and fee structure to the type of rewards it offers. These days, one of the most differentiating factors between credit cards is the rewards. You’ll need to choose between cash back, travel rewards, or points, as well as figuring out the rewards credit card structure you prefer. Bonus category programs reward credit cardholders with bonus cash back, points, or travel rewards for spending in popular categories, like office supplies and internet or cellphone service purchases. For more general spending, a flat-rate unlimited rewards card may be best. These reward cardholders with consistent earnings no matter where they spend. Depending on the size of your business, the best credit card for your company may end up being the one with a credit limit that can accommodate your monthly business expenses. While most credit card issuers don’t advertise maximum credit limits, you can often find information on average limits by researching small business credit card reviews. 6. What is the best business credit card for rewards in the US? Home to the very first rewards credit card (issued by Discover in the mid-1980s), the US credit card market has an abundant selection of rewards cards, including a plethora of business options. With so many cards from which to choose, how do you determine the best small business credit card for rewards? In the end, there is no single “best” business rewards card, simply the best one for your small business. If you travel a lot for your business — or simply for pleasure — then a credit card with travel rewards can be quite lucrative. On the other hand, cards with cash back rewards are easy to earn and even easier to redeem, typically applicable as a statement credit in just a few clicks. Once you’ve chosen a form of rewards, you’ll need to select the card that gives you the most rewards based on your current spending habits. For instance, if your business goes through enough pen, paper, and Post-Its that you have the office supply store on speed dial, pick a card, like the Chase Ink Business Cash card, that gives you bonus rewards for office supply purchases. Once the options have been winnowed down, many cardholders will use the sign-up bonus as the deciding factor. With a quality sign-up bonus, you can earn a hefty one-time bonus of cash back, points, or miles that can be worth hundreds of dollars. Remember that you’ll likely need to meet a minimum spending requirement to earn your bonus. 7. How do you open up a business credit file? As in the consumer credit world, your business’s credit history is what will determine its ability to obtain financing and other forms of credit from banks, individual lenders, and even some vendors. Unfortunately, establishing business credit isn’t quite as simple as obtaining a business credit card — although that is a good early step. The very first step to building business credit, however, is to obtain an EIN (Employer Identification Number) from the IRS. The EIN is essentially your business’s Social Security number and will be the number associated with your business’s credit profile. The EIN is also used for tax purposes and is used to open your business bank accounts. With an EIN and checking accounts in hand, your business can obtain its first credit lines. This can include a business credit card, but will also likely include vendors, manufacturers, and other suppliers. You may also wish to set up accounts with the main business credit reporting bureaus, which include Dun & Bradstreet, Experian, and TransUnion. Presuming the trade line is reported to the credit bureaus, your business credit will grow slowly over time. If the company with which you have a trade line doesn’t report to the credit bureaus, you can report the credit account as a “trade reference” on your credit account. 8. How do I get business credit? Establishing business credit starts with obtaining an EIN from the IRS, then opening business checking and savings accounts using the EIN. You can then apply for accounts with the companies with whom you regularly do business, such as vendors, manufacturers, and other suppliers. Make sure the party you establish a trade line with reports to the credit bureaus (the bureaus don’t generally track down information themselves). Over time, as your credit accounts report your payment behavior to the credit bureaus, your business’s credit history will grow. Always maintain all of your business accounts in good standing to ensure your business credit profile looks its best. The specific factors that influence your business credit scores will vary by bureau but they’ll look at the same general areas, including your outstanding balances, payment habits, and credit utilization. 9. How can I use my EIN to get credit? In essence, an EIN (Employer Identification Number) is the business equivalent of a Social Security number. The EIN will be associated with all of your business’s financial operations, including taxes and business credit. You’ll need an EIN to open up business checking and savings accounts, as well as to apply for most types of business financing. For example, when applying for a small business credit card, you’ll use your business’s EIN rather than your Social Security number on the application. This associates the credit account with your company’s credit instead of your own personal credit. Similarly, any trade lines or other credit products you open for your business will typically require an EIN to establish. 10. How do I get credit for my LLC? The process of building business credit for an LLC is the same as that of most other businesses, starting with the need to obtain an EIN from the IRS. You’ll then need to open business bank accounts to ensure your company’s finances are distinct from your own. Using your EIN, you can open accounts with your regular suppliers and vendors, which will (hopefully) report your payment behavior to the business credit bureaus. You may also wish to open a business credit card to the diversity of your company’s growing credit profile. With several accounts reporting to the bureaus, your credit will start to grow. So long as you maintain your credit accounts in good standing — i.e., pay your debts as agreed and avoid late payments like the plague — your LLC will have a well-established credit profile just a few years. 11. Do business credit cards build credit? Between the swipe-and-go convenience and cash back, points, or miles offered by your typical business credit card, the list of reasons to apply keeps getting longer. But while nearly any business can benefit from bonus rewards on binders, a big incentive for obtaining a small business credit card is the ability to build your business credit profile. Of course, your business credit card only helps your business credit profile if you maintain your credit card account in good standing. This means always paying your card as agreed; as with consumer credit, business credit is heavily influenced by your payment history. If you have a charge card, this means paying your balance in full each month. For a revolving credit line, be sure to make at least the minimum payment by the due date. Depending on the size of your business, tools typically for the consumer market can help you keep track of your small business expenses, too. For instance, you can use Prism credit card balance tracking to stay up-to-date, or Mint budgeting to get the bird’s-eye view of your spending. 12. How do you get a credit score for a business? Although you can establish business credit with your first trade line, obtaining a business credit score takes a bit more work. Indeed, while the consumer credit world almost universally uses FICO credit scoring models to calculate your score, the business credit world isn’t so simple. Each business credit reporting bureau will use its own scoring model and provide lenders with its own score. Of course, while each bureau has its own model, the basic factors will be the same, including payment history, credit utilization, and outstanding balances. Furthermore, each bureau has its own requirements and qualifications to obtain a score. For example, you’ll need at least three active business trade lines to get a Dun & Bradstreet Paydex score. You may also need to register with the bureau to provide important details about your business, such as any trade references not reporting on their own. 13. How do I check my business credit history? In another parallel with consumer credit, once you’ve established business credit, you should regularly check that credit to ensure it stays on track. Thankfully, a wide variety of credit tracking services and options are available for businesses to keep an eye on their growing credit. Perhaps the most straightforward option is to open an account with each bureau and check your report through the bureau’s website. For instance, you can sign up with Experian to receive a single business credit report, which also includes your Experian business CreditScore™. For a more comprehensive experience, you can signup for an annual membership that provides daily report monitoring and unlimited access to your report and score. Another option is to use a third-party credit monitoring service that will provide you with one, two, or all three of your business credit reports. While typically not as thorough as the reports obtained directly from the bureaus, these services can be good for getting an overview of your business’s credit and seeing how specific changes affect your overall credit profile. 14. How do I get a corporate credit card? Corporate credit card accounts are credit lines designed for large-scale corporations with multimillion-dollar revenue streams. Obtaining a corporate credit account generally involves reviewing the corporation’s finances and will require an EIN (in contrast, small business credit cards tend to have the option to use your personal Social Security number instead of an EIN). Corporate credit accounts are often structured more like charge cards than revolving credit cards, with large — or even unlimited — credit lines that are regularly paid off. These accounts also usually come with a large number of employee cards and comprehensive monitoring software to keep track of copious users. 15. What is American Express OPEN? American Express OPEN is the division of Amex that deals with small business credit cards, including two of the most recognizable business credit cards available — the Business Gold Rewards Card and the Business Platinum Card®. Amex OPEN cards come with a variety of exclusive perks, such as OPEN Savings®, which provides additional Membership Rewards points and special discounts on eligible purchases. Many Amex OPEN cards are charge cards, not revolving credit cards. This means you’ll need to pay off your balance in full each month, rather than being able to carry a balance from month to month. On the plus side, charge cards don’t charge interest fees because you pay off your balance each billing cycle. Similar to the Ink Business Preferred card from Chase, the Amex OPEN Business Gold Rewards Card offers bonus rewards in business-centered categories, including shipping charges. Unlike the Ink Business card, however, the Business Gold card lets you choose the category for which you want the biggest bonus. The Platinum Card is a good option for frequent travelers, providing a significant Membership Rewards point bonus for travel purchases made through the Amex travel portal. Your Platinum Card also comes with an annual airline credit, as well as providing bonus rewards for large purchases. 16. Can I get a secured credit card for a business? Perhaps one of the most difficult aspects of business credit is that it often falls victim to the old cache-22 of, “you need credit to get credit.” One way to (mostly) get around the credit requirement is to obtain a secured business credit card, which tend to have more flexible credit requirements. In contrast to unsecured credit cards, secured cards require an initial deposit to open the account, with minimum deposit amounts varying by card (but generally at least $500). The deposit effectively acts as collateral, which is used to cover an outstanding balance in the event you become seriously delinquent (180+ days late). With secured business credit cards, the size of your deposit will directly determine the size of your available credit line. A typical secured card credit line will be equal to 90% (but up to 100%) of your deposit amount. The average credit card company offering secured credit cards will allow you to increase your credit line as you go by adding to your deposit at any time. 17. What banks offer secured business credit cards? Perhaps the most difficult part of obtaining a secured business credit card is finding one, as few major credit card issuers actually offer secured business cards. Indeed, as far as the top issuers are concerned, your main options are the BBVA Business Secured Visa® or the Wells Fargo Business Secured card. That said, you may have better luck checking with your local credit unions and/or community banks. These smaller institutions tend to have more flexible credit and income requirements for new and small businesses, particularly local businesses. Credit unions and community banks can also be great places to open your business banking accounts, as you’ll likely receive more individual attention than at a larger institution. 18. How do I get a sign-up bonus? Sign-up offers reward cardholders with a one-time bonus of cash back, points, or miles, often worth several hundred dollars. In most cases, sign-up bonuses require you to meet a minimum spending requirement within a set period of time (usually within the first 90 days, though this can vary). Once you meet the spending requirement, your sign-up bonus should be automatically credited to your account. In the consumer credit market, sign-up bonuses are often used by “churners” to rack up stockpiles of points or miles. Though business cardholders are significantly less likely to churn cards, sign-up bonuses can still be quite lucrative. For example, with the right travel rewards card sign-up bonus, you could earn enough miles to book a free round-trip flight in just a few weeks. By the rules of most credit card companies, you can only earn one sign-up bonus per card per 24-month period. In other words, if you earned a specific sign-up bonus in January of 2017, you typically won’t be eligible to earn a sign-up bonus for that card again until January of 2019. Amex is the most prominent exception to this guideline, limiting signup bonuses to once per card, period. So if you’ve already earned a sign-up bonus for the Business Platinum Card, for example, you won’t ever be eligible to earn another Business Platinum Card sign-up bonus. 19. How do I earn and redeem points on business purchases? While business credit cards can be quite useful, perhaps the most fun part is earning and redeeming your rewards — especially flexible rewards points. Most points programs offer a wide range of redemption options, including everything from cash back or statement credits to merchandise from popular brands to travel credits. Another popular way to redeem points is to transfer them to an airline or hotel loyalty program. Many popular brands have credit card partnerships that allow you to transfer your points to your frequent flyer or hotel loyalty account. Business owners who issue employee cards can potentially earn points incredibly fast, as each employee card will earn points on every eligible purchase. Those points are added to any points earned by the primary cardholder — and any other employee cards — so you could earn your way to awesome rewards in next to no time. 20. How do I earn cash back or statement credit on business purchases? The simplest and most straightforward credit card rewards program, cash back cards allow you to earn cash back for every eligible purchase made with your card. Cash back can typically be redeemed through your issuer’s website, though some smaller institutions may use a third-party partner site for redemption. Cash back can usually be redeemed for a statement credit, gift cards, or a physical check (issued through the mail). Most cash back programs come in one of two types. The first and most basic is an unlimited flat-rate rewards program, in which cardholders earn the same amount of cash back on every purchase with no limit. The second type of program provides a higher earnings rate for purchases in specific bonus categories, typically with a limit on how much you can earn per quarter. The most lucrative cash back rewards program for you will depend on your business’s needs. If you don’t spend much in the common bonus categories, for instance, an unlimited cash back card may be more valuable. In either program, you don’t have to do the earning yourself; employee cards will earn cash back rewards, too. An important thing to note is that credit card rewards are earned based on net purchases, meaning refunds and returns may affect your earned rewards. 21. Can I earn frequent flyer miles with a business credit card? One of the lesser-known ways to get great value out of your business credit card rewards is to transform them into frequent flyer miles. Nearly every frequent flyer program has at least one credit card partner (and some have a dozen or more partners) from which points or miles can be transferred into frequent flyer miles. For those whose businesses require them to fly so often the pilots know their names, a good points or travel rewards card can boost frequent flyer accounts into overdrive. In fact, even those who haven’t quite hit jet-setter status can still get a lot of value by using their business credit card to rack up free travel. The Chase Ultimate Rewards points program is a great example, as Ultimate Rewards points can be transferred to more than half a dozen different hotel and airline loyalty programs, potentially making you one signup bonus away from a round-trip flight. Indeed, transferring to frequent flyer miles often offers more per-point value than other redemption options. To transform your credit card rewards into frequent flyer miles, you’ll need to log into your card issuer’s redemption website (or call the redemption number) and input your frequent flyer account information. Once transferred, you should be able to redeem your frequent flyer miles through the airline partner site as usual. Another way to earn frequent flyer miles with a business credit card is to obtain an airline-branded card, such as the Delta Business Gold Card from Amex. Not only will you directly earn frequent flyer miles for eligible purchases, but branded cards often reward cardholders with additional perks, such as free checked bags and/or preferred boarding. 22. Do small business credit card rewards expire? While it’s all well and good to rack up tons of rewards, what if you can’t use them right away, such as when you’re saving miles for a future trip? Well, thankfully, credit card rewards aren’t a use-it-or-lose-it commodity; in fact, most credit card rewards won’t expire at all, so long as your account remains open and in good standing (but check with your issuer just in case). You can secure credit card rewards by making sure you spend a little on your card (or make a rewards redemption) at least once every few months. This will keep your account open and active, reducing the likelihood of your account being closed due to inactivity. 23. Can owning a card lower my credit card processing fees? In the modern consumer landscape, the average purchase is made with plastic, not paper. While this is often convenient for consumers and businesses alike, the fees associated with credit card processing are anything but convenient. Indeed, while the exact cost varies with the credit card processor, most card transactions cost the merchant at least 1% of the transaction total, with 2% to 3% charges being more common. Unfortunately, you can’t lower your credit card processing fees simply by obtaining a business credit card, even if you get the card from the same institution that acts as your credit card processor. Other than comparison shopping before signing on with a processor, the only real ways to save on credit card processing fees is to limit manual card entries and use minimum credit card purchase amounts. Although it won’t help you save on credit card processing fees, your average business card has plenty of other card membership rewards. For example, most credit cards include some sort of rental car insurance, purchase warranty extensions, and concierge services — and the best business credit cards offer a host of other benefits, as well. 24. What is an annual fee? In the credit card business, an annual fee is similar to a maintenance fee, and is charged once a year, typically on your card’s anniversary. Annual fees are often used to offset the cost of the card for the issuer. For instance, the business credit cards with the most lucrative rewards tend to charge the highest annual fees as a way to compensate for the perks. That said, many credit card issuers are now offering a variety of cards without annual fees as a way to differentiate their cards from other options. With a little research, you can even find a quality card that will reward credit cardholders without charging an annual fee for its privileges. 25. What is a foreign transaction fee? Likely a foreign concept to cardholders who don’t travel abroad, foreign transaction fees are the fees charged by credit card companies to cover the cost of converting to and from a foreign currency. They typically apply anytime you make an international purchase in another currency, whether the purchase originates in the US or abroad, and run 3% to 5% of the purchase amount. As an example, suppose you travel to London for business and purchase a Double Royale (with cheese) after your meeting. The purchase will be charged in British pounds at the restaurant, but your credit card account is full of US dollars, so your credit card processor will need to convert your US dollars into British pounds to complete the purchase — charging you foreign transaction fees in the process. To combat the extra cost of traveling, a variety of consumer and business credit cards are available that don’t charge foreign transaction fees. Travel rewards cards, in particular, will often eliminate foreign transaction fees. In a way, cards without foreign transaction fees can be thought of as “tourism credit cards,” since you can travel across borders without fear of being attacked by fees for every purchase in another currency. 26. What other fees should I be aware of on a business credit card? Whether we like it or not, of course, annual fees and foreign transaction fees are just the tip of the fee iceberg when it comes to credit cards. When comparing business credit cards, in particular, look out for cards that charge fees for additional employee cards, as these can get costly if you have a big team. Other fees to look out for include fees for extra services, such as cash advance fees and balance transfer fees. The best way to avoid these fees is to avoid the associated services (cash advances are always a bad idea, anyway). Another common fee is the dreaded late fee, which you’ll be charged for making late credit card payments. You can avoid late fees simply by making at least the minimum payment before your due date. Remember that, as far as your credit card issuer is concerned, late is late. It doesn’t matter if you’re a month late or a day late, you’ll likely be charged a late fee either way. Of course, when it comes to late payments, the fees may actually be the least of your worries. As you work to build your business credit, your payment history will be extremely influential, and late payments are an easy way to wreck your budding business credit. If you think paying on time will be an issue, set up automatic payments to ensure you’re never late. Remember, building a business takes a lot of time and dedication — and so does building business credit. The right business credit card can make a huge difference, both by providing necessary financing to get you through the ebb and flow of your business’s income streams, but also by helping to build up your business credit profile. In the end, a prospering business can be well worth the effort; at least, that’s how my parents feel. Despite the energy (and costs) involved, my parents always found that the rewards of being a small business owner were enough to tip the balance against the blood, sweat, and tears they poured into their businesses.